Office desks are large furnishings that clients will notice when visiting your business in the Tampa, Florida, area, and they are also where your employees spend a good deal of time. To ensure that your clients have a positive first impression of your business and your employees are comfortable, it’s wise to invest in professional and functional office desks. Furnishing your office with aesthetically pleasing and practical desks doesn’t have to mean spending top dollar. These days, business owners can work with office furniture companies that offer gently used and refurbished pieces, which can result in saving a good deal of money. 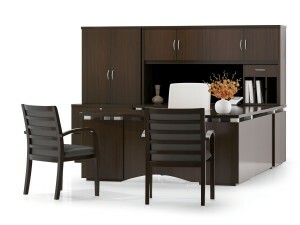 For top-of-the-line office desks at a great price in the Tampa, FL, area, turn to Reusable Office Interiors. We offer a wide selection of beautiful and well-made pieces from popular manufacturers like Haworth, Herman Miller, Teknion, Steelcase, and others. Plus, we specialize in the sale of gently used and refurbished pieces, so you will be able to get the desks you want at a fraction of the cost they would be brand new. Additionally, our experienced specialists can deliver and install your new office furniture for you, which means you won’t have to worry about any of the heavy lifting. We also have designers who can help you with space planning to create the perfect layout for your office space. If you want to learn more about the exceptional office desks we have available to business owners in and around the Tampa, FL, area, contact Reusable Office Interiors today. Daniel was very helpful and professional. I would certainly do business with him again.